The Alumni Association places great importance in helping the University keep contact with its more than 60,000 alumni and friends. If you have changed addresses, gotten married, changed employment, or have exciting news to share, please consider using the form below to let us know. Through the years, UCA has lost contact with some of its alumni. Lost alumni are considered ones for whom we have no current contact information. If you have information on anyone listed, please contact the Office of Alumni Relations by phone (501) 450-3197 or email alumni@uca.edu. 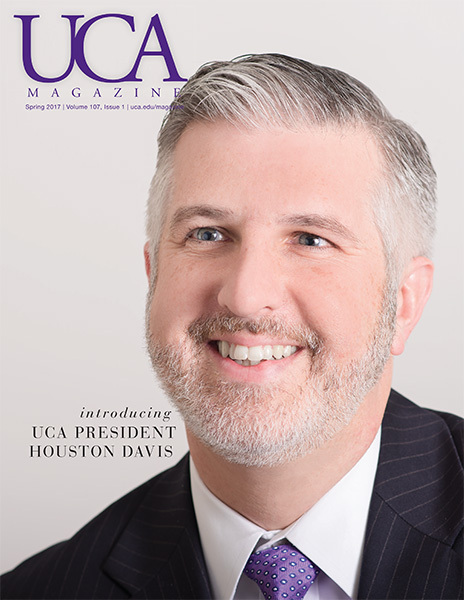 Please list the name(s) and class year of your children that are UCA Alumni or are currently attending UCA. If your father or mother is a UCA Alumnus, please list his or her name and class year. News about you or another UCA Alumni that we may not have heard about. (Degrees from other institutions, marriages, births, deaths, major accomplishments, etc.) Please include full names, dates, and addresses as applicable.